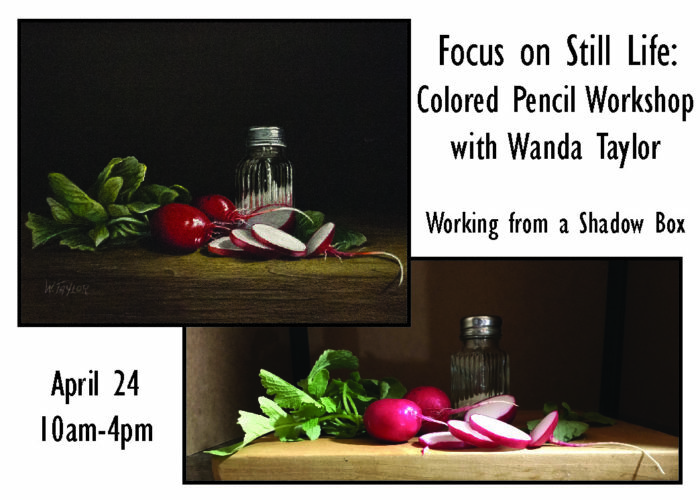 This month’s focus will be on still life drawing from a shadow box. Students will have the choice of drawing from life or working on personal projects. New students are always welcome to learn their first lessons in colored pencils at these wonderful workshops. To reserve your spot, call the Albrecht-Kemper Museum of Art at 816-233-7003 Ext. 301 or sign up online below.